The next Cast From The Past (a series of shows lost from our iTunes feed and website) from 2007 features Stoo, Ken, and Mike Banner. 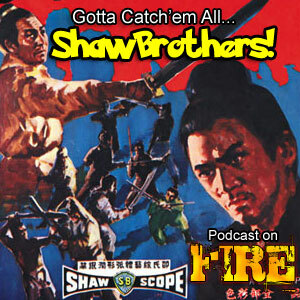 Discussing entertainment value of Hong Kong movies then and now, along the way there’s tidbits about Tiger On The Beat 2, Tony Jaa, and Shaw Brothers dvd’s going out of print. Last movies watched includes: Naked Ambition and Shaolin Vs Lama.